War Horse, the multiple Tony and Olivier Award winning play is wowing audiences at Sydney’s Lyric Theatre. 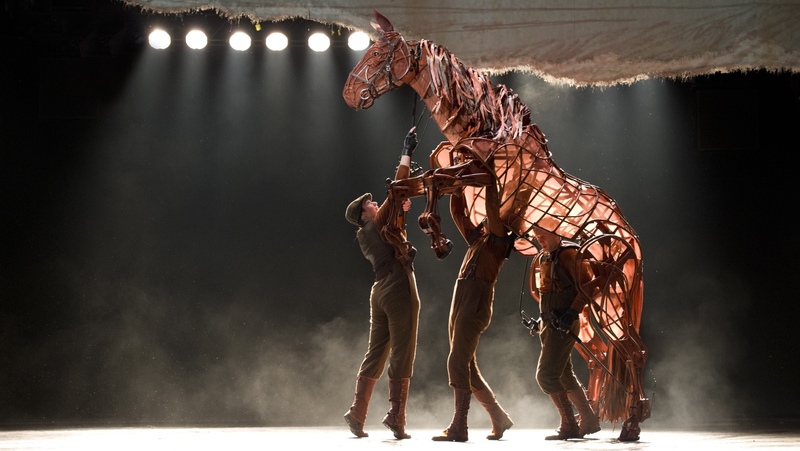 Brought to Australia by the National Theatre of Great Britain and Global Creatures, War Horse has been adapted for the stage by Nick Stafford, from Michael Morpurgo’s book which tells the heart wrenching story about Joey, the much loved horse belonging to Albert, a Devon farm boy. At the outbreak of World War I, Joey is sold by Albert’s father to the cavalry and shipped to France. Joey is soon caught up in enemy fire and fate finds him serving on both sides, before ending up alone in no man’s land. Albert cannot forget Joey and, although not old enough to enlist, he embarks on a treacherous mission to find his beloved horse and bring him home. The astonishing puppets, created by South Africa’s Handspring Puppet Company, bring breathing, galloping, charging horses to life on the stage. Life size horses, which are strong enough for men to ride, traverse the stage, their flanks, hides and sinews built of steel, leather and aircraft cables. Actors working with these dynamic puppets, make the audience believe they are watching real horses, not puppets. 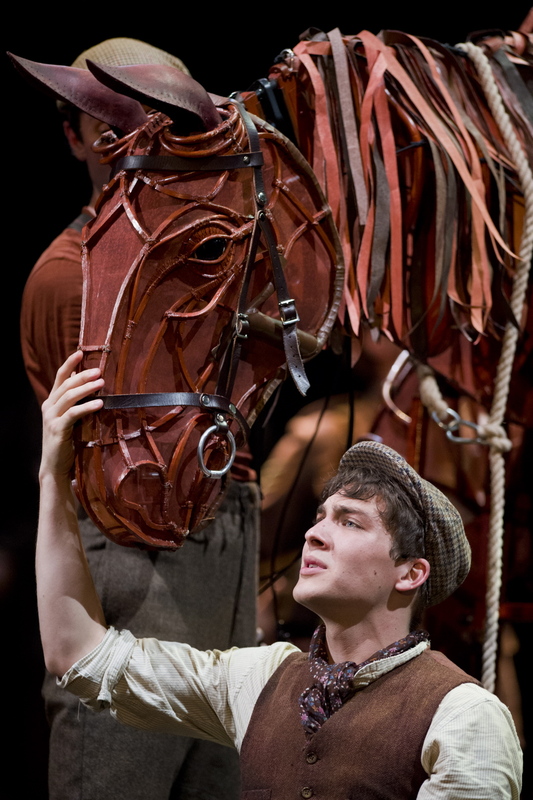 “War Horse is a life affirming story about friendship, courage and family, which appeals to all ages. This is a production that brings the family together, we get people coming back again and again, and they always have the same reaction. It awakens something in you,” says Chris Harper, Producer, National Theatre of Great Britain. The Sydney season will run at The Lyric Theatre until 12 May 2013, when it will head to Brisbane. 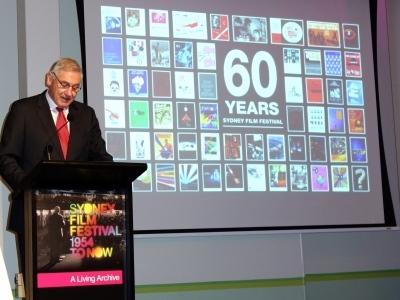 Sandra T.
To celebrate the 60th year of the Sydney Film Festival, Minister for the Arts, George Souris, launched a free online publication. This digital only publication has thousands of pages of content and images, so large it could never have been printed. Sydney Film Festival 1954 to Now: A Living Archive, features over 1,000 photos and over 50 archived videos including award-winning short films, news clips and trailers plus a list of all 8,580 films that have screened at the Festival. 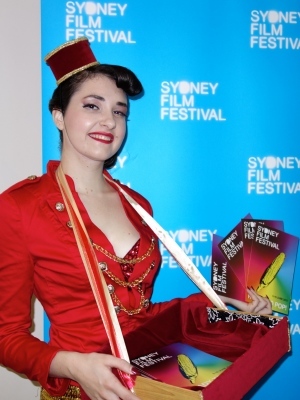 The City of Sydney bestowed the Sydney Film Festival with a special history grant through their History Publication Sponsorship Program. “The City of Sydney is pleased to support this wonderful archive which shows how significant the Festival’s impact has been to the evolution of the city’s cultural life over the past 60 years,” said Lord Mayor of Sydney, Clover Moore. Words & Photos: Sandra Tiltman. T-QUAL Tick, the Australian Government’s national symbol of tourism quality, has launched a campaign that will see three bloggers racing around Australia, visiting high quality tourism experiences in destinations such as Brisbane, Darwin, Adelaide and Hobart. During the eight day race, the bloggers will put their skills to the test whilst experiencing tourism products endorsed by the T-QUAL Tick. 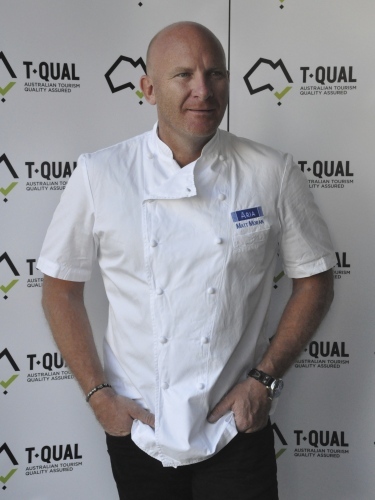 Renowned chef and T-QUAL Ambassador, Matt Moran, oversaw the first challenge of the T-QUAL Tick Race at Aria Restaurant this week, marking the first of many challenges the bloggers will take part in as they race around Australia. Using the pre-prepared ingredients, the bloggers drew on their culinary and memory skills, while battling it out to reproduce the entrée that Matt had shown them prior to the start of the challenge. Matt then judged the winner. “As co-owner of ARIA, I understand the importance of promoting quality in the tourism industry and I’m excited for the bloggers to get a taste of what I experienced. They are in for a treat!” said Matt, who then saw the bloggers off by giving them their next clue for the Sydney leg of the race. One of Australia’s most followed Instagrammers will be documenting the race in pictures published through the social network. Sydney celebrated Earth Hour at 8.30 p.m. on Saturday 23 March with most people turning off their lights and bringing out the candles. Royal Caribbean Lines’s Rhapsody of the Seas participated in Earth Hour while she was docked at Sydney’s Overseas Passenger Terminal on the night. Along with the Opera House and the Harbour Bridge, the 78,500 tonne ship dimmed its lights from 8.30 p.m. to 9.30 p.m.
Captain Rob Hempstead, the captain of Rhapsody of the Seas made an announcement to all guests and crew explaining the event and the ship’s desire to participate. Cruise guests got into the spirit and assisted by turning off their cabin lights and closing their window curtains. Rhapsody of the Seas, ferries and other vessels in the harbour all blew their horns at 8.30 p.m. sharp for the commencement of Earth Hour. 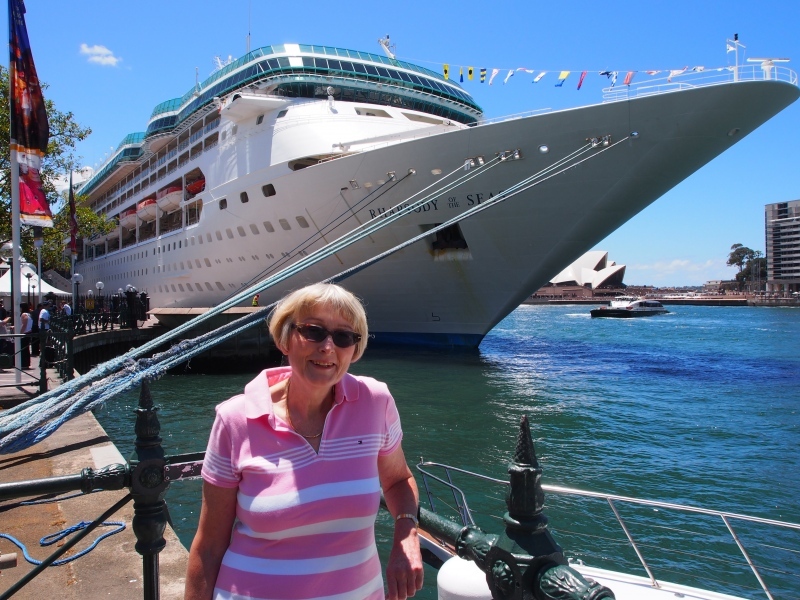 Rhapsody of the Seas departed Sydney and set sail on her 11-night Queensland cruise. 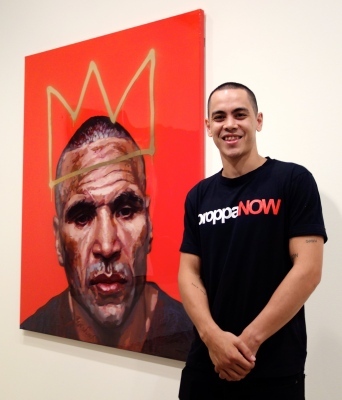 Del Kathryn Barton was named as this year’s winner of the 2013 Archibald Prize for her portrait entitled “hugo”, and receives a prize of $75,000. 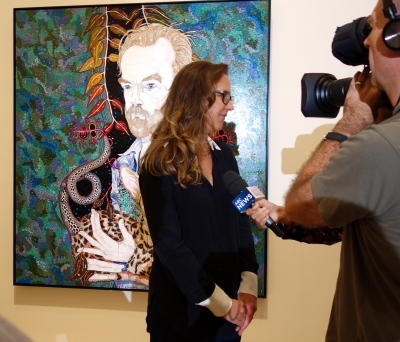 Selected from 868 entries, the winning portrait of Sydney actor Hugo Weaving, was announced at the Art Gallery of New South Wales on Friday, 22 March. First awarded in 1921 and now in its 92nd year, the Archibald Prize is judged by the Trustees of the Art Gallery of New South Wales. Awarded annually to the best portrait, J.F. Archibald established the prize to foster portraiture and to perpetuate the memory of great Australians, distinguished in art, letters, science or politics and painted by any artist resident in Australasia. Visitors to the Art Gallery of New South Wales can enter the “People’s Choice” competition, where they can nominate their favourite Archibald painting. The winner will be announced on 16 May 2013. The finalists will be on display at the Gallery until 2 June 2013. They will then begin a regional tour of New South Wales and Victoria from 8 June 2013 to 29 June 2014. Cunard’s Queen Mary 2 was berthed at Sydney’s Overseas Passenger Terminal on Tuesday morning, March 19. The surrounding area in the historic Rocks was buzzing with activity. Lines of taxis were waiting to transport the disembarking passengers, delivery trucks unloading supplies for the next voyage plus the many excited Sydneysiders who had just come down to see this famous ship. Docking facilities at the Terminal have recently been lengthened to accommodate this giant Queen, which previously could only dock at the near by Garden Island Naval Base. I am sure the Base’s Admiral is very happy about not having to move his naval vessels to make way for the Queens. Queen Mary 2’s arrival in Sydney from her historic New Zealand circumnavigation marked the return of some items from the State Library of NSW’s renowned Captain James Cook collection. The items, which had been on display in the liner’s library during the twelve night voyage, included personal possessions which the master navigator had with him on his 18th century voyages to New Zealand and the South Pacific. Items included Cook’s tea caddy and a spoon, also signed 1768 correspondence about his preparation for the first New Zealand voyage on Endeavour and an excerpt from Cook’s handwritten draft journal from his first voyage to New Zealand, including his account of Endeavour’s arrival at Poverty Bay and a violent first encounter with Maori. This is the second time the State Library of NSW has entrusted Queen Mary 2 with items from its prized collections. In 2012, Queen Mary 2 carried Matthew Flinders’ historic journals and map atlas from his circumnavigation of Australia on the liner’s own maiden circumnavigation of the country. Carnival Australia CEO Ann Sherry said the Cook items had been a highlight for the Australian and New Zealand guests onboard during the historic voyage. “We’re so grateful to the Library for allowing Queen Mary 2 to take these Captain Cook possessions on a similar journey to his 18th century exploration of New Zealand, albeit under vastly different circumstances this time,” Ms Sherry said. Queen Mary 2’s circumnavigation included a maiden visit to Milford Sound in New Zealand’s stunning World Heritage listed Fiordland National Park, where she made history on becoming the largest ship to visit. The Animal Welfare League NSW will benefit again this year from Parched March, Sydney’s month long bar odyssey which is back again for the fourth year running. 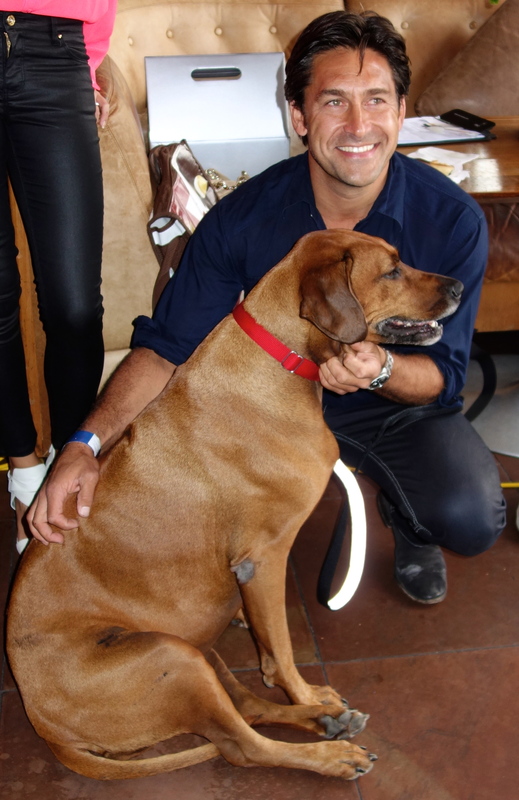 Launched at The Loft on King Street Wharf by animal lover Jamie Durie and vet Dr Katrina Warren, the annual Good Times for a Good Cause is set to be the biggest yet, with more than 60 Sydney bars mixing up special cocktails throughout the month of March. Every time you buy one of these cocktails at the participating bars, the venue will donate a portion of the price to the cause. By taking on one of the Parched March challenges such as 30 Bars In 30 Days or Furry Friday Rescue, money can also be raised for the animals. 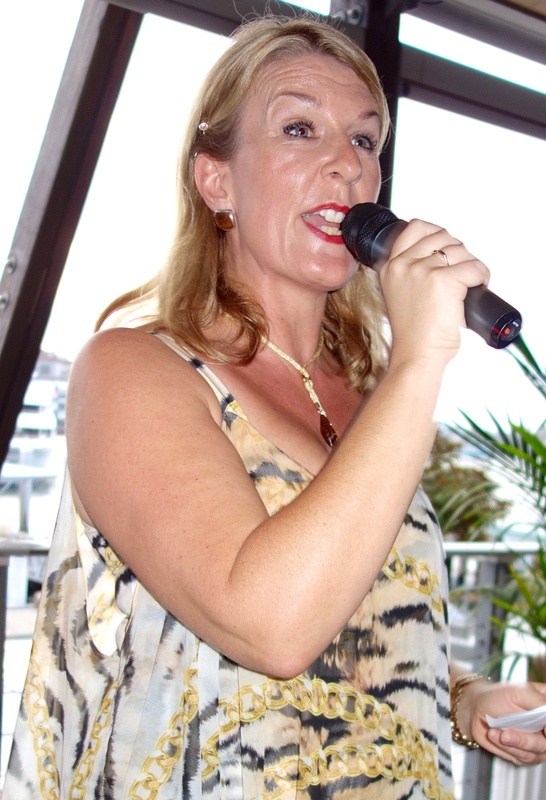 Founder Amy Cooper created the campaign, which celebrates sensible drinking and Sydney’s fabulous array of world-class bars. The Animal Welfare League NSW is reliant on donations and is a dynamic organisation that works to save and improve the lives of pets that have been surrendered, neglected or abandoned. They protect animals through regulatory work with various Government bodies and help to enforce legislation with a team of Inspectors who are on the ground every day. For pets in need, they provide customised care through a foster care and branch network, three shelters and veterinary hospital, while working to find loving forever homes for animals in their care. You are currently browsing the SANDRATBLOG.COM blog archives for March, 2013.